Since its beginnings in 1921, the IHO has played a key part in assembling the world’s most comprehensive collection of bathymetry of the oceans. A proposal at the 7th International Geographic Congress in Berlin to establish an international agreement for the naming and terminology for undersea features led to the creation of a Commission which was invited to prepare a bathymetric map of the oceans. At the Commission’s first meeting in 1903 HSH Prince Albert I of Monaco offered to organise and finance a series of charts to be known as the General Bathymetric Charts of the Ocean (GEBCO). Two years later, in May 1905, the 1st Edition GEBCO was published comprising 16 mercator sheets and eight gnomonic sheets of the polar regions. In 1910, during the inauguration of the Musée Océanographique (Oceanographic Museum) in Monaco, Prince Albert called another meeting of the Commission. Eleven sheets for the 2nd Edition of GEBCO had been prepared by 1914 when WW1 halted progress. The introduction of the echo sounder led to vastly increased volumes of data and the task soon outstripped the resources of the Musée Océanographique. From 1929, responsibility for the GEBCO was transferred to the International Hydrographic Bureau (IHB), forerunner of the IHO, which had been established in Monaco in 1921 also at the invitation of Prince Albert. The 3rd Edition of GEBCO was completed between 1932 and 1955. By 1967, there was general agreement that the original GEBCO format no longer met the requirements of the marine scientific community. The IHO and the Intergovernmental Oceanographic Commission (IOC) then jointly established the GEBCO Guiding Committee (GGC) in 1974. The GGC is still active today, comprising five members appointed by the IHO and five from the IOC. The first sheet of a completely new 5th Edition of GEBCO was ready for assessment in 1975 and the series was completed in 1982. Until recently, the GEBCO programme has only collected data or included depth information for areas deeper than 200 metres. 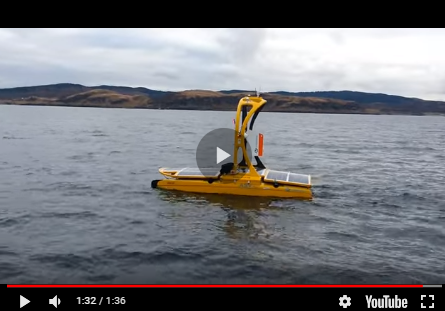 It has now been recognised that there is an important need for the GEBCO to extend to include both shallow and deep water areas as this is an essential requirement in helping determine how tsunamis, currents and other ocean phenomena move between deep and shallow water. Underpinning all GEBCO products is a substantial quantity of bathymetric source data, most of which is stored and maintained within the IHO Data Centre for Digital Bathymetry (DCDB), located in Boulder, Colorado (USA). This worldwide digital data bank of oceanic soundings was established in 1990 and can be freely accessed and downloaded via an online service. More information is available at website 1. The success of GEBCO owes much to the continuous interest, participation, support and effort of scientists, institutes, research centres and Hydrographic Services that provide data and expertise to the programme, at no cost, in the interest of science, safety and the environment. The centenary of GEBCO was commemorated in April 2003 with a celebration organised by the IHO in Monaco in the presence of Prince Albert II, the grandson of Prince Albert I, the founder of GEBCO. The availability of the Centenary Edition of the GEBCO Digital Atlas (GDA) was also announced at the ceremony and is a substantial revision of the earlier issues. The GDA consists of a global set of digital bathymetric contours, coastlines, track line control information and global gridded bathymetric data sets, the GEBCO One Minute Grid and GEBCO_08 Grid. The complete GDA is distributed on DVD. The GEBCO One Minute Grid and GEBCO_08 Grid, are available to download from the web. A sub-set of GEBCO data underpins the Google Ocean model, first released in February 2009. More information about GEBCO and the availability of data can be found at website 2. The Sub-committee on Undersea Feature Names (SCUFN) supports the GEBCO Guiding Committee and selects names to be used for undersea features in the world's oceans. These names then appear on GEBCO graphical and digital products, the IHO's series of International charts, corresponding Electronic Navigational Charts, and on the regional International Bathymetric Chart (IBC) series of charts.